At 1st Alaska Tours we strive to open Alaska’s nature and beauty to all Alaska visitors. Our Alaska experts have designed fun, interesting and educational Alaska sightseeing tours just for you. Alaska is best discovered with the assistance of local guides. Our friendly knowledgeable guides share the beauty, history and resources of Interior Alaska on every tour. There are many sightseeing opportunities to choose from, when visitng Alaska. Our adventures range from driving the famous Dalton Highway up to the Arctic Circle to enjoying a relaxing soak in Chena Hot Springs to riding in a sled pulled by a dog team. Once the land of the midnight sun begins to darken, we are able to once again take delight in the dancing northern lights. 1st Alaska Tours specializes in Aurora Borealis viewing opportunities and provides guests with premier viewing locations. Knowing this is a bucket list item for many people, we offer aurora tours that include photography lessons, dinner and even dog sledding. In addition to providing top notch Alaska sightseeing tours in the Fairbanks region, we are also able to book accommodations in Fairbanks as well as schedule activities in the Denali area. 1st Alaska Tours is truly Fairbanks’ one stop shop for experiencing Interior Alaska. For more information about our tours or to check availability, please call 907-590-5900. Ralf Dobrovolny, was born in Heidelberg, Germany. He spent his early adulthood as an industrial salesman. He achieved a childhood dream as a 23 year old when he traveled through the remote areas of Canada’s Northwest Territories. It was a solitary experience as he did not see another soul for over two months. 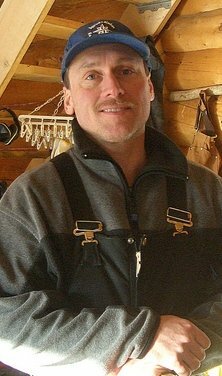 The experience lead him to lead guided trips for others in the following years with an emphasis on survival in the wilderness and the lands around the Arctic Circle. In 1996 he came to Alaska to settle and in 2003 opened the 1st Alaska Outdoor School. This wild and imposing land has become my home. But to live and travel through the wilderness of this northern land demands unique knowledge and skill sets that we have specialized in. 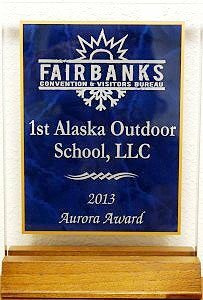 1st Alaska Outdoor School gave those interested in remote living the chance to experience Alaska’s great gifts in a safe and enjoyable surrounding. Over the years the market demand changed and more and more sightseeing guests visited Alaska. 1st ALASKA TOURS is catering to this Alaska sightseeing tours market with many exciting tours as a division of 1st Alaska Outdoor School. Are you ready for some A-Moose-Ing facts?